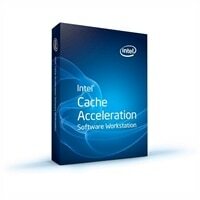 Intel Cache Acceleration Software - Workstation (CAS-W) accelerates large workloads as near SSD speeds for a fraction of the value. Configuration must include an SSD. Intel CAS-W cache with 3 years of basic supportIntel Cache Acceleration Software - Workstation (CAS-W) accelerates large workloads as near SSD speeds for a fraction of the value. Configuration must include an SSD.